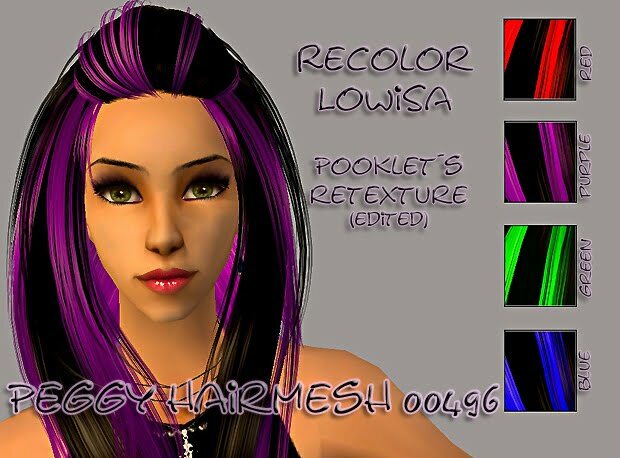 I did another type of hair recolor as you can see. I really love this Peggy's mesh she did great job with so the credit goes to her. And also to Pooklet for the texture that I use and edited. There is 4 colours, hair works for all ages (grey for elders), and no EP is required. Mesh is included in the file.